We strongly believe that the social good that our StartUp and charity can achieve is limited only by imagination and funding. 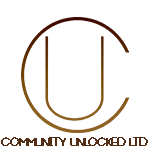 With this thought Community Unlocked was born giving rise to our mission and objectives. Our team are hands on people using our international skills and work ethics experiences to bring to bare on our mission.